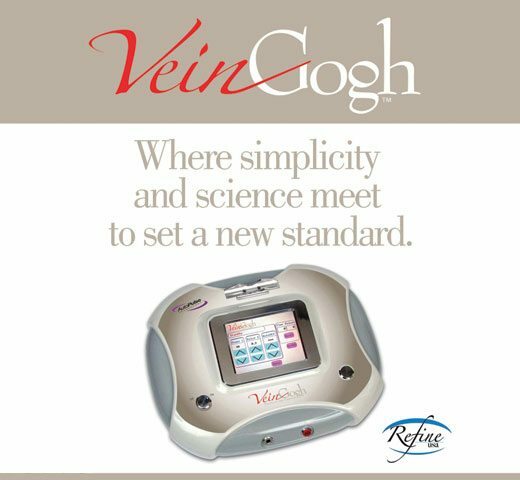 VeinGogh is an ohmic thermolysis treatment for removing unsightly facial and leg veins or other small vascular lesions like cherry angiomas. It works by delivering controlled bursts of energy through a tiny “ballet” needle to collapse the target vein. The treated vein or vessel then fades away as it is absorbed by the body. Am I a good candidate for VeinGogh? For larger vessels, VeinGogh may not be the best treatment available, so our doctors will need to assess your skin in person in order to make the right recommendation. What are the side effects of VeinGogh? Any downtime? Both side effects & downtime from VeinGogh are minimal. Redness, irritation and mild swelling are all possible and should be expected for the first 1 to 3 days following treatment. These side effects are very unlikely to impede your daily routine, but we don’t recommend having treatment right before a social event or gatherings. When will I see results from VeinGogh? How long will they last? You’ll be able to see some results immediately after treatment. As your body reabsorbs the treated vessels, it’s normal for some of them to disappear at first, reappear briefly, and then finally disappear again – this time for good. Once the vessels are treated, they won’t come back. However, certain areas (like the nose, cheeks & chin) are prone to developing more of these visible vessels & veins over time. These are not the same ones coming back.